who doesn’t love pretzels? they’re a great snack for just about any occasion. you find them at the mall while you’re shopping, at the ballpark, at the movie theatre, at home… you get my gist. this recipe is fairly simple and easy to make. it just takes a bit of time. but all great things take time, right? of course, these pretzels do not compare to my aunt linda’s, but they’re still pretty tasty. she makes the best pretzels on the planet! 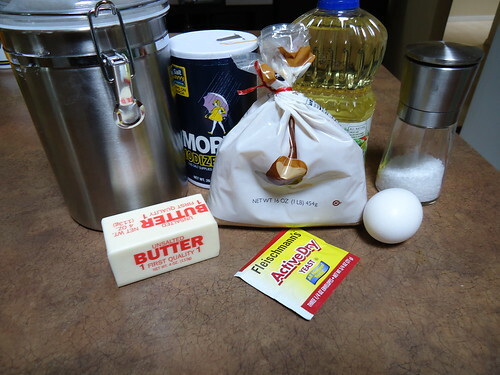 in the bowl of a stand mixer, fitted with a dough hook, combine water, sugar, yeast and butter until combined. scrape down the sides of the bowl, as needed. let rest for 5 minutes when mixing is complete. add the salt and flour and mix on low speed until combined. increase the speed to medium and continue mixing until dough begins to pull away from the side of the bowl. if the dough appears wet, add flour, 1 tbsp at a time, until dough appears smooth. 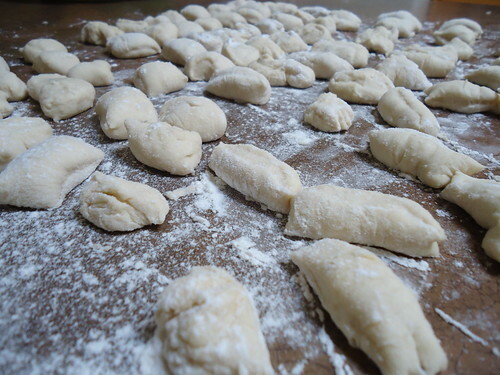 remove dough from the bowl, place on a flour-covered counter and knead into a ball with your hands. bring the water to a boil in a stock pot over high heat and add the baking soda. coat a baking sheet or two with non-stick cooking spray. prep your egg wash (eggs and 1 tbsp water). remove the dough from the bowl and place on a flour covered countertop. divide dough into 8 equal pieces. roll each piece into a long rope, about 22″ long. cut the rope into 1″ pieces. i use a scraper to cut the pieces. it’s also great for dividing the dough and moving it around. mine are not perfectly shaped, but i think that will take some practice. boil the bites in the water, about 15 bites at a time. boil for 30 seconds. remove from pot with a large slotted spoon and place directly on the baking sheet. make sure that the bites are not touching. brush the tops with egg wash and sprinkle with salt. my salt grinder is adjustable, so my salt was pretty coarse. 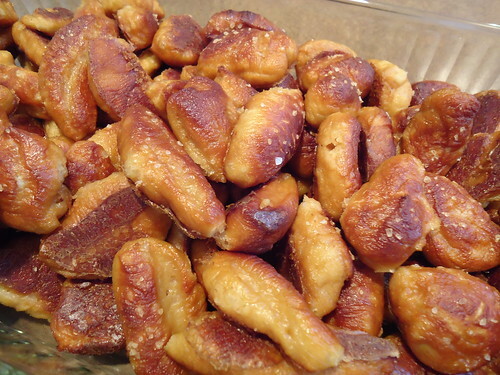 you want to find coarse salt for these pretzels, don’t cheap out and use regular table salt. bake for 15-18 min, or until golden brown. remove from baking rack and rest for a minutes before eating. if you can wait that long.